How will you say “I Love You” tomorrow? Will you bring flowers, chocolate, go out to dinner, buy jewelry, or go on a romantic getaway? There is nothing more valuable than good health. Showing yourself and your loved ones you love them by preparing healthy meals is the ultimate true love! Since tomorrow is Valentines Day, I wanted to create an extra “heart healthy” meal. I purchased some organic (as always) fillet of salmon, pomegranate, cara cara orange (no seeds, yeeah), fresh ginger, fresh organic spinach and extra virgin olive oil. 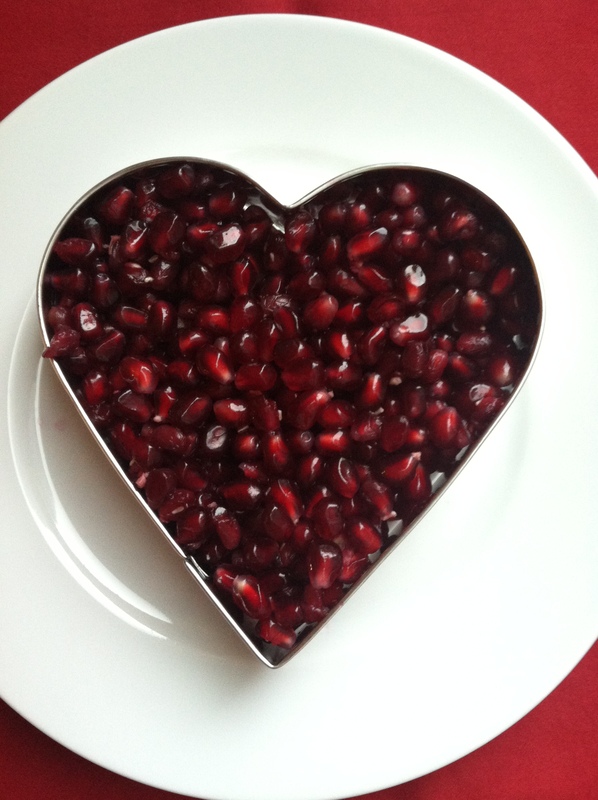 The pomegranate is a vibrantly red in color, rich fruit that is the most powerful anti-oxidant of all fruits. It has potent anti-cancer and immune supporting effects. It is a great source for lowering cholesterol and blood pressure and it aids in protecting against osteoporosis. So as you can see, this is the perfect “I Love You” heart -healthy meal to prepare. You may either purchase pomegranate seeds in the produce section of the grocery or purchase 1 whole pomegranate and remove the seeds yourself. Best way to do this is to slice it in half, twist to separate. Take a medium, deep bowl and place one 1/2 of the fruit in your palm, open side down. With the back of a wooden spoon beat the fruit to allow the seeds to fall out. You may have to remove some with your hands. Discard the white pith and shell. Wash and pat dry the orange. Zest the orange and set aside. Now cut it in half and juice the whole orange. Place the juice in the bowl with the pomegranate seeds. Add the grated ginger. With the back of a teaspoon carefully press on the seeds to crush. 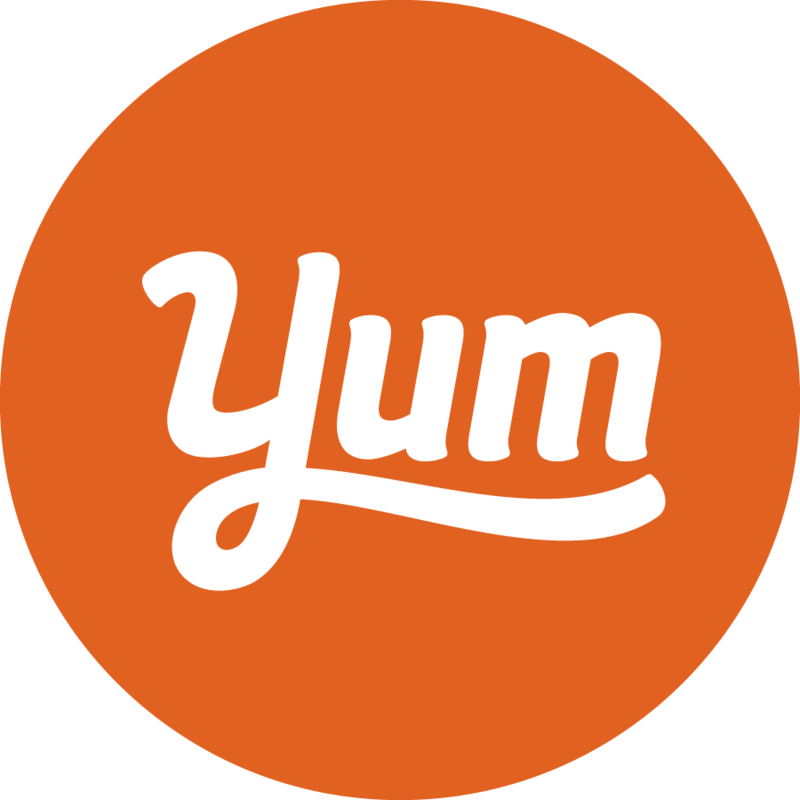 Place the mixture in a small saucepan over medium low heat and allow to slowly simmer while the salmon is being cooked. Mix occasionally. 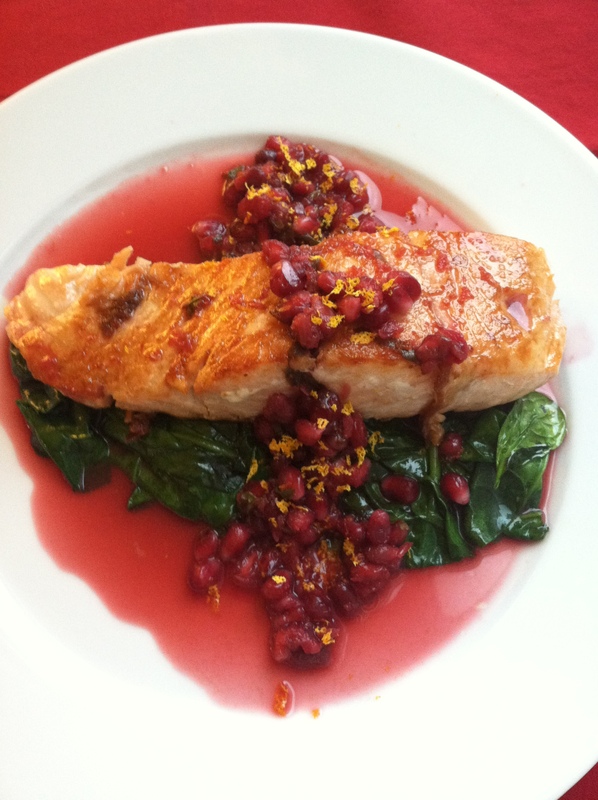 Serve the salmon over the spinach and top off with the pomegranate sauce. Sprinkle with the orange zest. Enjoy!